The state of the art system will dramatically improve your HR and security management with features that give you irrefutable control over Time & Attendance, working pattern rules, the EU working time regulations and the EU road transport directive regulations. 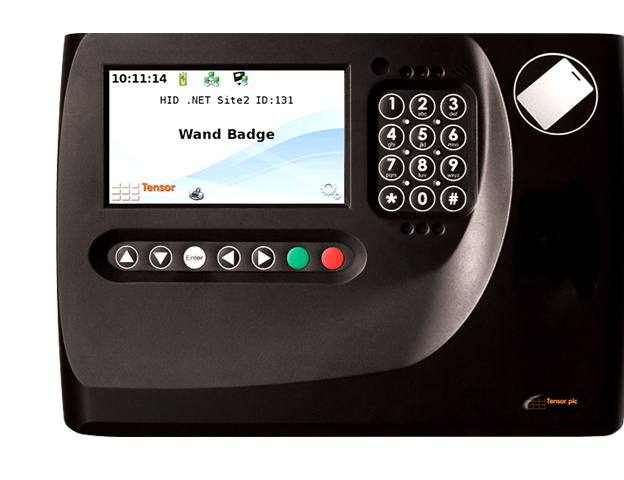 Smart Card Time and Attendance recording workstation incorporates; job booking, job costing, labour hours analysis and security management including quality CCTV playback. Smart cards, optional biometics, large colour LCD and intuitive software all provide the fastest and safest method of recording your employees time and attendance. The state of the art system will dramatically improve your HR and security management with features that give you irrefutable control over Time and Attendance, working patterns rules, the EU working time regulations and the EU road transport directive regulations. Time and Attendance UK are leading providers of smart card and biometric systems and software guaranteed to meet your time and attendance requirements. Our smart card time & attendance technology allows your employees to quickly clock in and out, with the time and attendance software accurately recording attendances. The inbuilt report generator makes it simple to get both real-time and archived information, and hosts a range of output styles to suit your company’s requirements. Our range of powerful, secure and reliable Time and Attendance UK Systems are designed to help you cut labour costs and attain a superior level of operational efficiency by automating and simplifying mission critical tasks, such as employee clocking, absence management and payroll processing. We know that migrating to a new Time and Attendance system requires thorough planning, detailed specifications and a certain degree of flexibility. Due to our extensive industry expertise, we can provide services to the client from the conceptual stage through the implementation and completion of a project. We deliver unparalleled convenience and full compliance with the most stringent quality requirements in European and British standards. Our unique position within the time and attendance industry enables us to uniquely customise our systems to your requirements and budget, from large, complex, multi-site systems to smaller systems for local businesses. As such, we’re in the best position to offer You the tools You need to make the right business decisions that save your company money and boost your employees’ productivity. Contact us today to find out how our Time and Attendance UK systems can enable your business to run more effectively, providing greater productivity and a reduction in manual overheads. “We chose the Time and Attendance System due to the speed of access and HR-oriented features it delivered, as well as its overall very good value for money”. © 2019 Time and Attendance UK. All rights reserved.